Hard Hats Stats: How Many Lives Are Saved? Ok tough guy, think it’s not cool to wear a hard hat? Think you can survive a pipe wrench falling on your head from 100 feet above? Think again. You aren’t that tough and neither is anyone else. 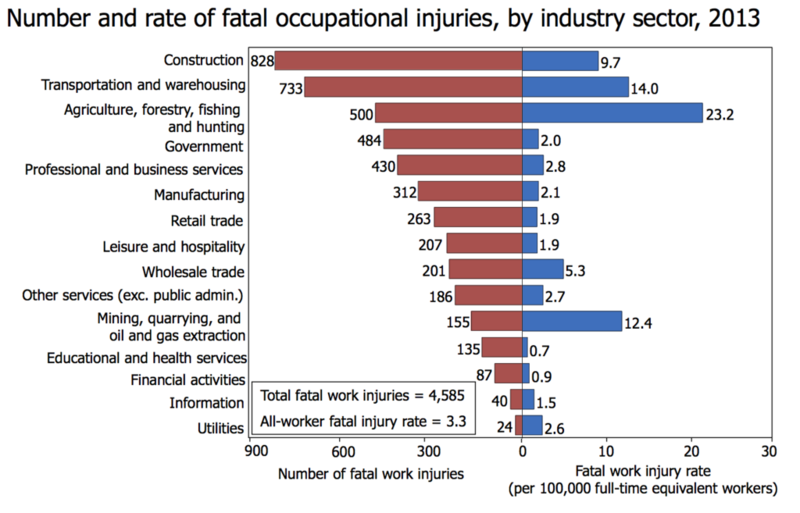 There were over 1,000 U.S. worker deaths in 2012 due to head injuries on the job. Add to that 65,000 cases involving days away from work due to head injuries and you begin to get the idea that maybe wearing your hard hat isn’t just a good idea, it’s a lifesaving idea. OSHA regulations insist that hard hats should be worn where potential exists for workers to be hit on the head from falling objects, where workers could hit their head on exposed beams (or pipes, etc. ), or where there is a potential electrical hazard. Not only do these regulations protect the workers, they help employers lower insurance costs. Employers must also ensure that these regulations are being followed. Hard hats might not look as cool, might be a little warmer than you like and might seem like they’re just in the way – until an accident happens. Then they’re lifesaving devices. Much as you wouldn’t weld without a welding helmet because you know of the danger to your eyes from viewing welding arcs directly, you also know you can’t survive tools or other objects falling on your noggin from above. Wear it; it’s the smart thing to do. What are your options? Fortunately, OSHA requires hard hats to have a label inside the shell stating not only who the manufacturer is, but also the ANSI (American National Standards Institute) designation. Employers should ensure that employees are wearing the proper type hat for the job. In addition to the standard requirements for all hard hats, which include a hard outer shell, a lining to absorb shock, a headband for proper fit, straps to secure that hat to the workers head, the following classes of hats should be matched to the worker’s job. G – General: Protect against impact and object penetration with an electrical voltage protection of at least 2,200 volts. E – Electrical: These hats offer the most protection against electrical hazards and offer protection up to 20,000 volts. As with all hard hats, they also offer protection against impacts and falling objects. C – Conductive: These offer lightweight impact protection and are more often for comfort than classes G and E and do not offer protection against electrical hazards. 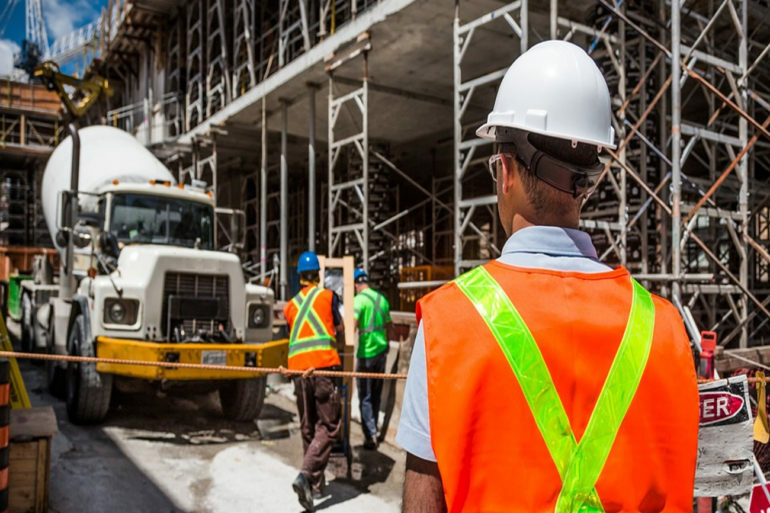 OSHA does recognize one other type of hard hat known as the bump cap that is often used in areas where workers need protection from head bumps in low or close quarters, but these are not recognized by ANSI and have no ANSI designation. By insisting on protective clothing such as safety glasses, gloves, safety shoes and especially hard hats, employers are not only protecting the health and well-being of their workers, they are also helping to lower their insurance costs and avoid fines that could be levied were they not in compliance with standard safety equipment use. This helps worker morale and helps prevent missed work due to worker injuries which in turn lowers overall employer costs. Employers can help themselves comply with these requirements by having training sessions about the proper safety equipment needed and required for a job, placing signs in conspicuous places to remind workers that this equipment is required (and to remind them to actually use it) and to convey the idea that they are sincerely concerned about their workers’ safety. If workers do not comply with employer policy regarding safety equipment, employers should have a system in place to progressively make noncompliance more serious for the worker up to the point of actual termination if the worker does not comply often enough to make their own safety an issue. Noncompliance only encourages younger or more impressionable workers to think noncompliance is OK, thereby increasing the number of workers who are not in compliance. Supervisors should be trained to check safety equipment compliance constantly and insist workers are always in compliance and not just when the ‘big boss’ is coming around. This creates an atmosphere of compliance and makes it second nature for workers to encourage each other to be in compliance. It only takes one accident where a worker who wasn’t wearing the proper safety equipment is at fault to make compliance front page news. But no employer or any worker wants this to be the reason for improved compliance.